If the recent -30° weather in North America has you second guessing a transpacific trip, you’ll be pleased to hear about Toronto’s secret weapon—a hidden underground network of cafes, restaurants and shops spanning 30km. Stay in the right hotel and you won’t even need to go outside for an Australian worthy cup of coffee. As we learned it can be disorientating for a first timer, so here are some tips on how to navigate and enjoy the Toronto underground PATH. Originally built in 1900 connecting areas of downtown Toronto via a small network of tunnels, the PATH gradually grew throughout the early 20th century. In the 1970s it rapidly expanded and started becoming the pedestrian haven we see today. Now holding a Guinness World Record for the largest underground shopping complex in the world, the modern day network connects six of Toronto’s busiest subway stations with over seventy-five of its skyline buildings. The PATH is a convenient novelty dotted with samplers of the city's best establishments, not a replacement for overground Toronto. Convenient is the arguable word here. In theory, it should be faster to walk to your destination through the PATH as you’re bypassing street lights, cars and other obstacles. Without GPS and discernable overhead landmarks, you can quickly feel like you’re swimming underwater and losing track of which way is up. We recommend getting a little lost to begin with. Embrace people watching outside your nearest subway station, listen to the buskers and even brave a cup of Tim Horton’s. When the novelty of the labyrinth wears off you’ll be glad to know there’s a website that doesn’t rely on GPS to guide you. Pathmap.ca works by using the businesses in the PATH as proxies for location. We’ve picked out a few businesses below that are worth your time and navigational effort. Founded by local celebrity barista Sam James in 2009, Sam James Coffee Bar grew from one small coffee shop in North Toronto into a multi-location wholesale roaster all while maintaining quality and sentiment. You’ll find a simple menu, affordable prices and relaxed interior, all well executed. SJCB might even make you want to stay in Toronto just so you can become a regular. Try a cortado; similar to a long mac but with less milk and a dash of cream. Just below the newly renovated Union Station is Pilot Coffee Roasters. Arguably the best known roaster in Toronto, this is their cosiest location, lending itself to the grab and go culture of the PATH. Pilot will serve you a good quality, reliable and consistent espresso. Try a red eye—like a long black but topped with batch brew coffee instead of boiling water—it’ll have you feeling like a human again after your long flight. There’s a reason why Toronto is hailed as one of North America’s top food cities. Perhaps the best place to experience it all in one place is Assembly Chef’s Hall. While not underground itself, it does have direct access to the PATH at 111 Richmond Street West. Housing 18 vendors from Toronto’s top spots in one emporium, it’s a foodie’s playground. Glamping is to camping what the Assembly Chef’s Hall is to a food court. Allow a few hours to experience this place to it’s potential, and come hungry. On the top of your list should be the Peking duck wings and truffle fried rice from Little DaiLo, Crispy Baja Fish tacos from Colibri and the 42-ingredient salad from Hibiscus. It’s as architecturally stunning as it is culinarily explorative. With an in-house DJ, this complex will satisfy all your senses. If you’re looking for a grab and go lunch, Toronto’s own Forno Cultura has a small location at the First Canadian Place concourse. Third generation Italian bakers serve up artisanal continental rolls as well as Italian sweets and espresso. If you like long-fermented sourdough, stock up here. 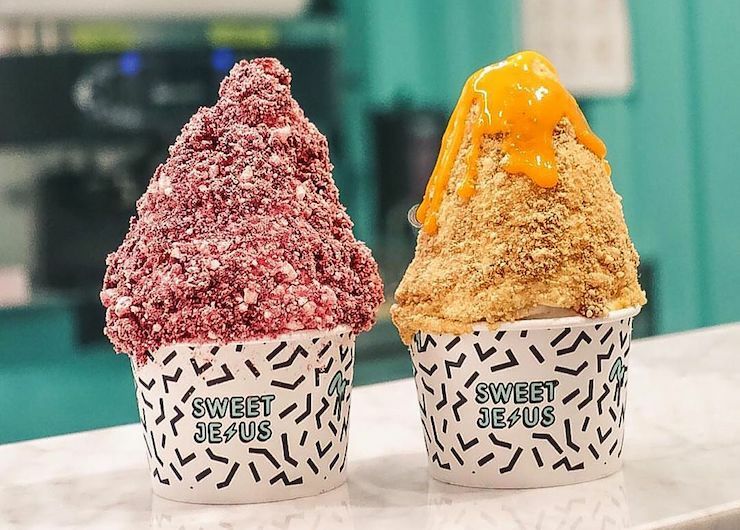 You might’ve already seen photos of Sweet Jesus’ otherworldly soft serves on Instagram. Another Toronto born glory, their PATH connected location is in the Eaton Centre. Before we go any further we want you to understand this is not ice cream or gelato… it’s soft serve. Take it for what it is and you’ll be impressed. If nothing else, it's Instagram-worthy. A trip to Toronto would be incomplete without visiting Peace Collective. If your best friend was disappointed last time you brought them home another Bintang t-shirt from Bali, then Peace Collective will have you looking like a reformed human. Expect simple cuts, slogans and basics in a chilled environment with The Weeknd playing softly in the background. This place perfectly embodies post Drake Toronto. Drop by for a browse when you’re in the Union Station leg of the PATH. Now a worldwide company for their low cost, high quality skincare with simple packaging, Deciem is originally from Toronto. They sell an array of androgynous blends, especially from their brand The Ordinary. You’ll walk into a relaxed industrial environment and always find something useful as their staff are continuously helpful and knowledgeable. 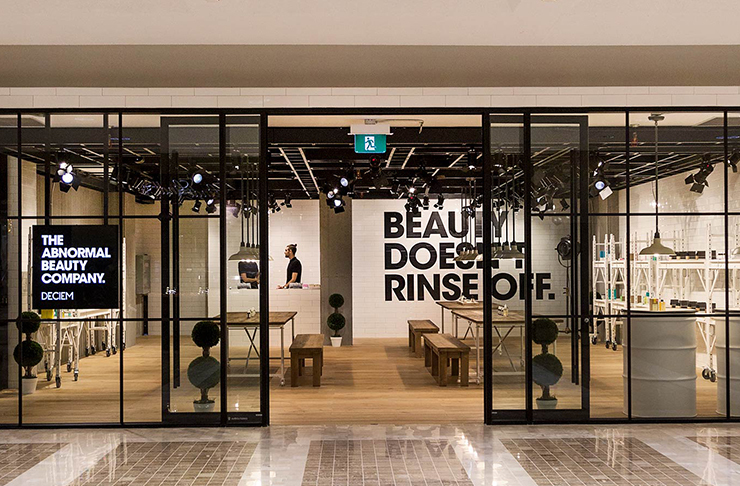 With only three Australian stores (and none on the West Coast), Deciem is definitely worth a visit when you’re wandering the PATH by the Exchange Tower. Iam Yoga is a quaint studio with an inner city retreat vibe and two studio rooms. As if it were made for travellers this studio has free mat and towel rental. A class will set you back $22 but if you’re a frequent yogi we recommend signing up for their introductory pass; you’ll be able to use it at their larger flagship location in the village too. The instructors are attentive and unpretentious—always happy to answer questions after class and help you with your form. Staying at a hotel connected to the PATH, especially in winter, has its perks. It’ll allow for easy access to the subway network and save you from spending too much time in the freezing wind. The downside is that you’ll miss out on Toronto’s many boutique hotel options. While One King West Hotel in the Financial District is a big hotel it does maintain some boutique charm. Another option for PATH access hotels is the Westin Harbour Castle that has a rooftop bar overlooking the harbor and all of Toronto’s skyline. By this point you’ll probably be noticing a trend… the story of small businesses starting from an original idea with humble roots and radiating into city-wide, sometimes global, establishments. It's a common story in Toronto, especially over the past ten years. Toronto has grown from a city based around business trading to a melting pot of food, art and culture with its own distinct personality. Just like the PATH started small and radiated into a prolific network, many Toronto brands and businesses continue to do the same. There’s a lot of life in Toronto, even underground. Still can't get enough poutine? Check out the Ultimate Foodie's Guide to Canada.